Michael Washington’s gift, the voice of an angel, is touched with the power to entertain and enchant. His dream is to reach people in song, and to bring love, quality and purpose back into music. He has a higher calling and the amazing voice to touch lives with song and spirits with inspiration. Truly a renaissance man, his love of people takes music to new levels. Soulful tunes captivate audiences and leaves them wanting more. Emotion and intensity blend with pure notes to create a new style of music beyond R&B, beyond gospel, beyond pop. His music is a tapestry of styles that bring hope and inspiration, changing minds in ways that defy explanation as it uplifts and empowers. He is destined to leave a footprint in music. His Contagious style and compelling sound uplift and ignite spirit in audiences. Humble and soft-spoken, the power of his music carved his niche without words. Michael Washington is changing music and touching emotions with the voice of an angel. Michael Buble’, Peaches and Herb, and has sang back-up for Yolanda Adams, Somkie Norful, Donnie McClurkin, Fred Hammond and more. In 2013, he also toured with Josh Groban and Judith Hill. In addition to being the Musical Director for "Hairspray: The Broadway Musical," Michael is also the bass and baritone for The Alley Cats, America’s Premier doo-wop a cappella group. He has also opened for Jay Leno & Joan Rivers in Las Vegas. Currently starring in the hit stage show, "Vegas The Show," in Las Vegas, Nevada, Michael has also performed in “What Now Mama" and “Swing". He took his 33-member gospel choir to win the Grand Championship in the 2001 McDonald’s Gospel Fest Competition. Performing at Disneyland in “Groove ’66,” "Vocal Flight," and "Dapper Dan's" as a tap dancer & singer in the barbershop quartet. He then carved a niche and developed a devoted fan-base. In addition, he performed in Tokyo, Japan’s DisneySea in a broadway music review show called “Big Band Beat", and in Disneyland's . Temptations,” MTV commercial choir with Beyonce and Mike Epps. 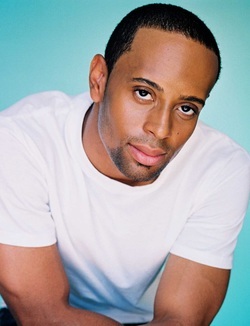 He has appeared as Young Paul in “The Saints” with Billy Dee Williams, "General Hospital," “The Wade Robson Project," “The Cut,” and The WB’s “Pop Stars." He was also a Top 10 Finalist in Season 4 of B.E.T. 's "Sunday's Best." Michael has also been featured in several national commercials.